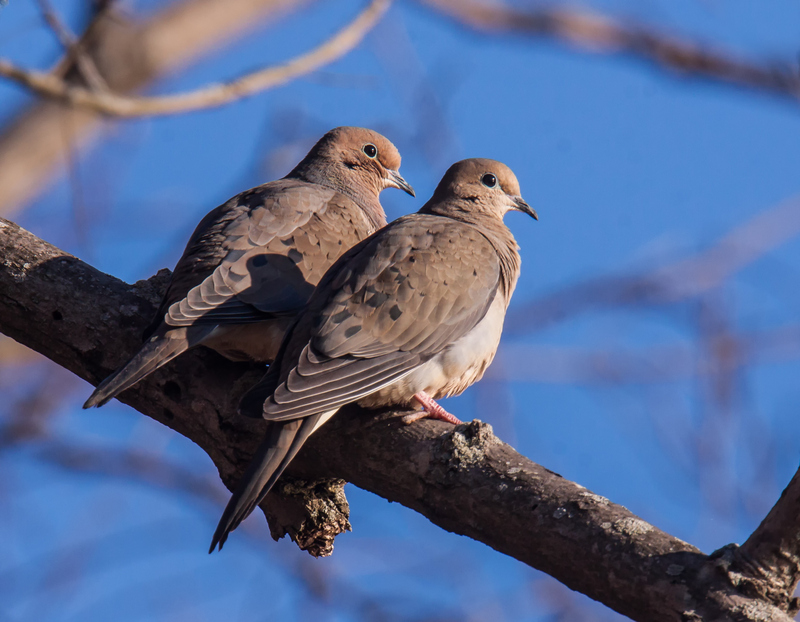 When I first spotted these Mourning Doves (Zenaida macroura) perched closely together on a branch yesterday morning, I immediately assumed that they were a couple. Are these really doves in love? I have trouble figuring out the relationships among birds, because I have to judge solely on the basis of outward appearances. Come to think of it, I have the same problem with humans. Friends or lovers? Who knows?